At a media event on Tuesday, Motorola officially took the wraps off two new smartphones - the Motorola Droid Turbo 2 and the Motorola Droid Maxx 2. The Motorola Droid Turbo 2 offers top-of-the-line specifications. The successor to the last year's Droid Turbo, comes with a 5.4-inch QHD (1440x2560) display. The company claims that the 'ShatterShield' display - which is made of an aluminium rigid core, flexible Amoled screen, and dual-layer touchscreen panels (redundancy in case one goes bad) - wouldn't break into pieces even when dropped on a slab of concrete. The Motorola Droid Turbo 2 is powered by a Qualcomm Snapdragon 810 oct-core SoC paired with 3GB of LPDDR4 RAM, and comes in 32GB and 64GB storage options, both variants rocking a microSD card slot with up to 2TB capacity cards supports. There's a 3760mAh battery, which in addition to a claimed battery life of 2-days under "mixed use", also supports Quick Charging. On the photography front, the handset comes with a 21-megapixel rear-camera with f/2.0 aperture and dual LED flash and Phase Detect Auto-Focus, and a 5-megapixel front-facing shooter with flash. In terms of software, the Motorola Droid Turbo 2 runs Android 5.1.1. The single-SIM capable Turbo 2 supports 4G LTE (Cat 4), 3G, CDMa, Wi-FI and other standard connectivity options. Much like other Droid devices, the Droid Turbo 2 will be exclusively sold on Verizon Wireless network in the States. 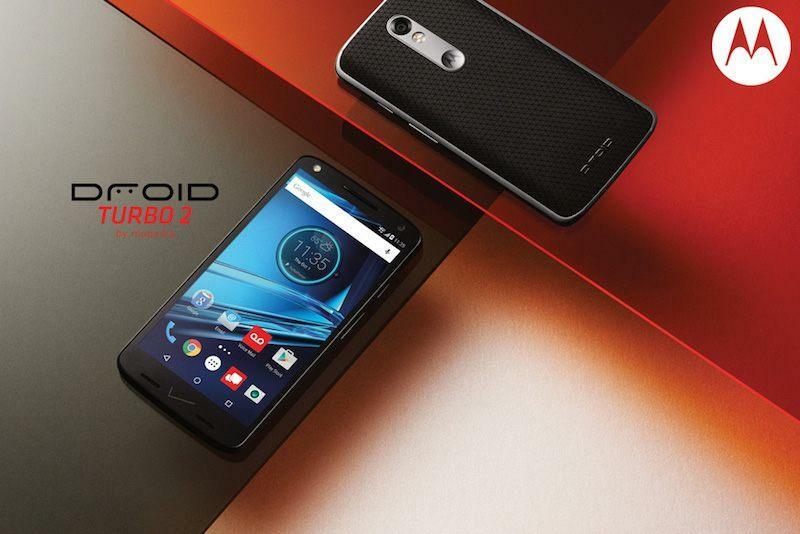 The carrier will be selling the Motorola Droid Turbo 2 at a price point of $624 (roughly Rs. 40,600) and $720 (roughly Rs. 47,000 retail) off contract for the 32GB and 64GB variants respectively. There's no word on international availability just yet, though it is likely to launch in other markets as the Turbo 2, similar to what we saw last year with the Moto Turbo. The Motorola Droid Turbo 2 will be available in the United States from October 29 in a trade-in offer for up to $300 off on the upgrade to the new Droid Turbo 2. The company says that it would also accept smartphones with cracked displays. As previously rumoured, the company is bringing its Moto Maker phone customisation program to the Droid-branded smartphone. Motorola says that it will provide users with more than 1,000 ways to design their phone, also giving them the option to select materials ranging from ballistic nylon to genuine Horween pebbled leather.